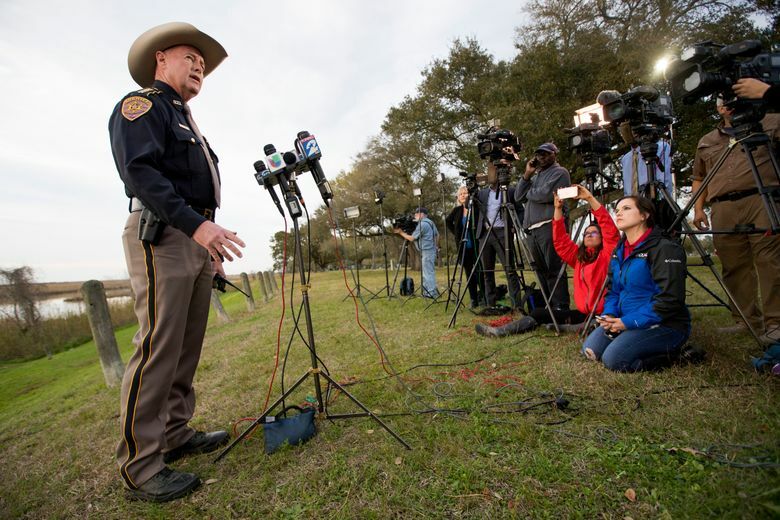 DALLAS (AP) — Texas authorities have found part of a human body at the site where a Boeing 767 cargo plane crashed Saturday, although it’s unclear whether it belongs to the missing crew member. 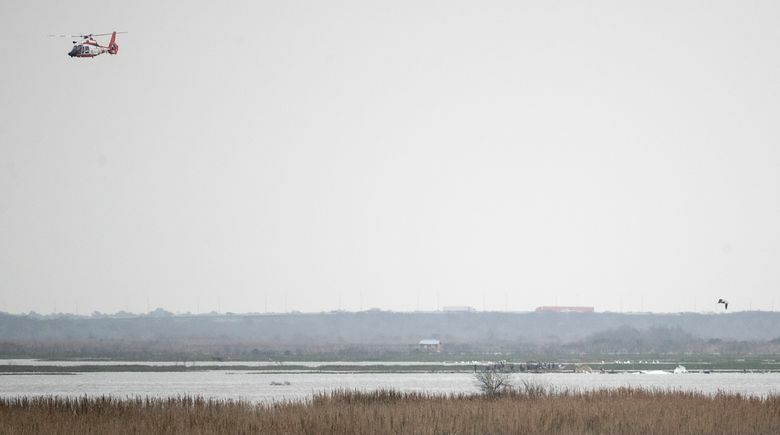 On Tuesday afternoon, a search dog found “part of human remains” amid the debris field left when Flight 3591 slammed into a shallow bay about 35 miles (55 kilometers) east of the Houston, according to a local sheriff. 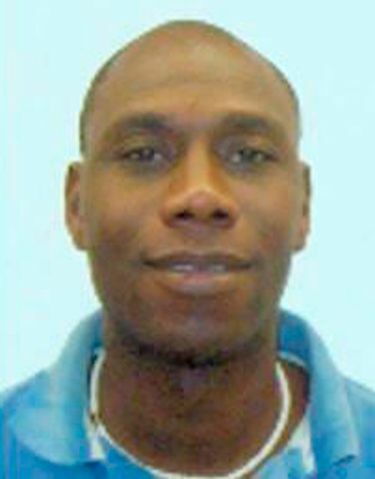 “It’s not a body,” said Chambers County Sheriff Brian Hawthorne, adding that DNA testing was needed to identify the remains. Local and federal officials have been scouring the waters of Trinity Bay since the jumbo jet carrying packages for Amazon suddenly went down over the weekend. 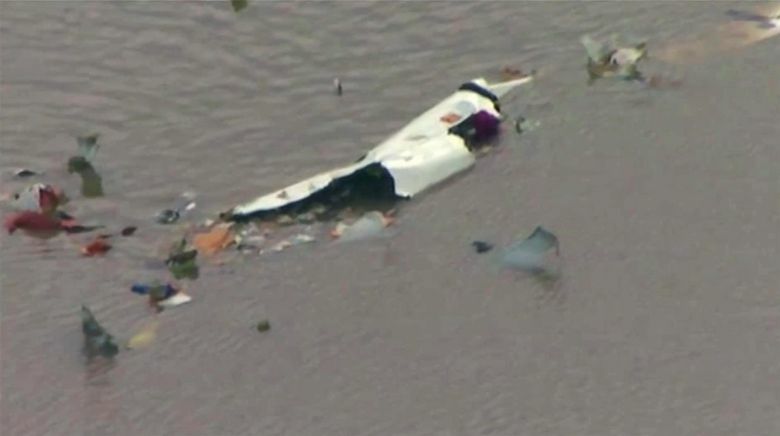 They have recovered the bodies of two of the three people who were aboard the Houston-bound flight. 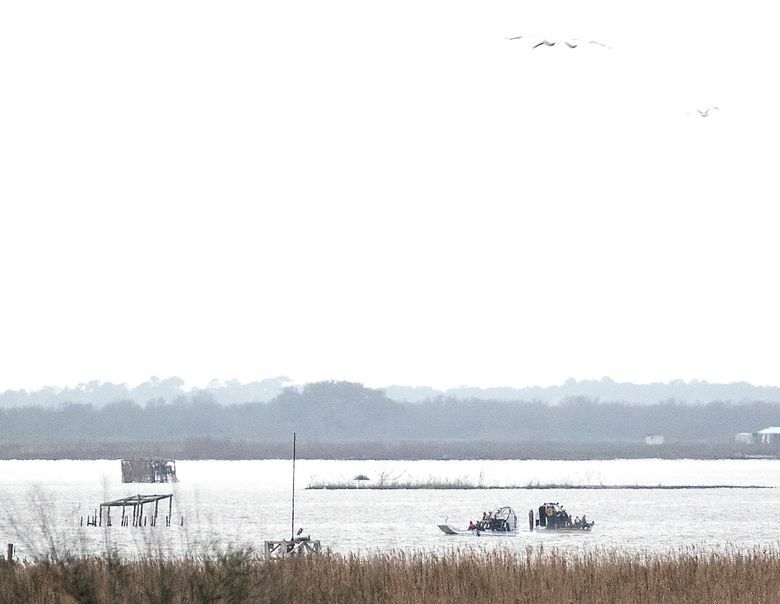 Searchers are preparing to dredge part of the bay in their effort to find the third person and the plane’s black box, which records flight data and voices in the cockpit, Hawthorne said during a Tuesday afternoon press conference. 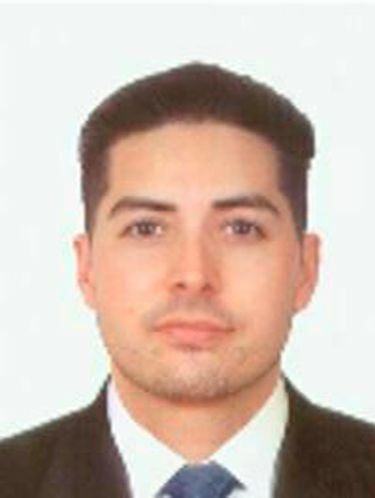 The bodies recovered have been identified as those of Conrad Aska, the 44-year-old first officer and co-pilot of the Atlas Air flight, and Sean Archuleta, a 36-year-old passenger, according to a Monday statement from the sheriff’s office. 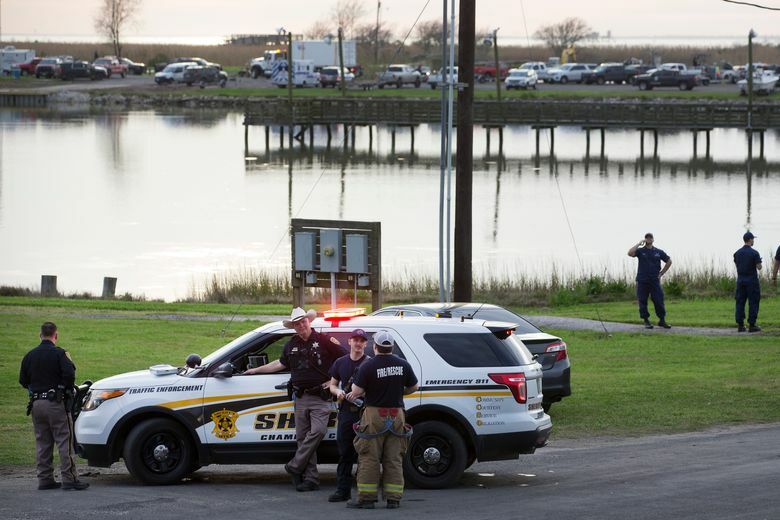 The sheriff’s office has not released the identity of the third person aboard the flight and Atlas Air declined to identify the person Tuesday. 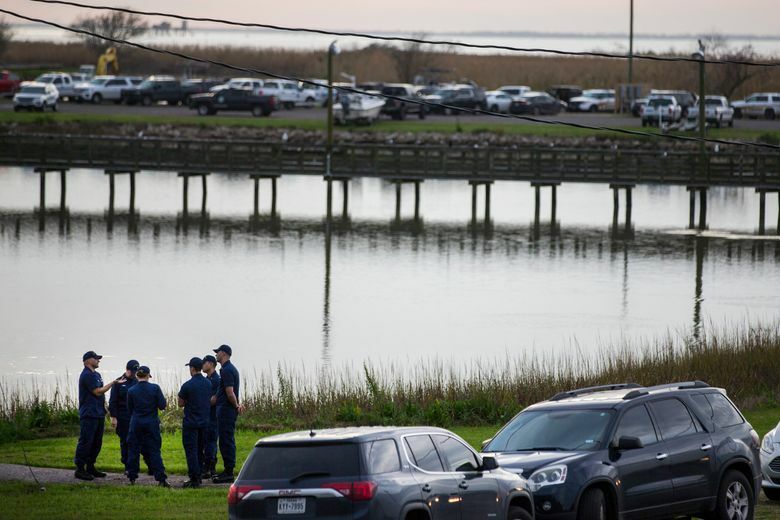 The muck covering the bay’s bottom may be interfering with the high-frequency signal given off by the plane’s black box, Assistant Special Agent in Charge Edward Michel said Tuesday.